Hopefully, you have your financial goals spelled out and you’re ready to make a plan. As you certainly already know, a financial plan is called a budget. Budgets have gotten a bad rap in a lot of households as people approach them the same way they approach diets. “This is just going to keep me from buying [eating] what I want!” The reality is, a budget helps you focus your spending on the things you truly want, instead of letting your hard earned money wander off to unnecessary expenses or short-term pleasures. In the next posts, we will discuss how to build a lasting budget and the top ten budgeting mistakes people make. 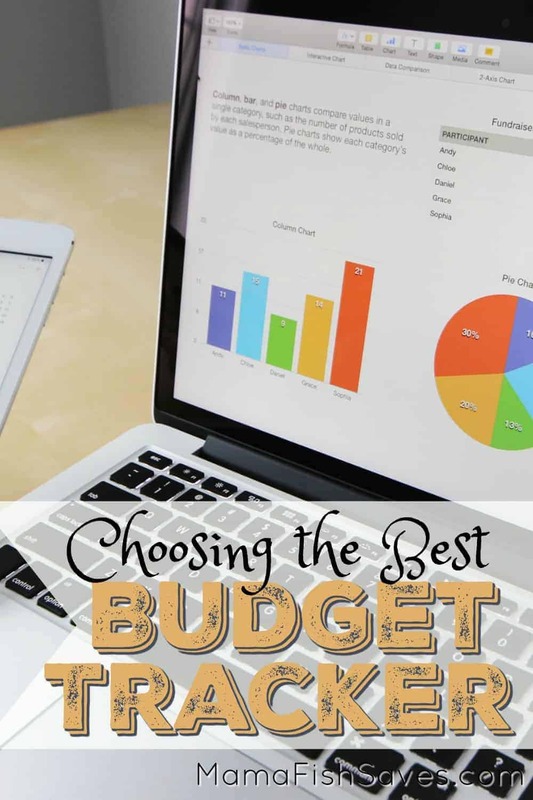 But first, you have to determine where you are going to track and maintain your family’s budget because failing to keep up with your budget is one of the top problems most families have. There are endless options for maintaining your household budget: spreadsheets, envelope systems, websites and smartphone apps. I originally intended to review some top options for you in this post, but kept coming around to my favorite option in the market. I view it as the gold standard and its philosophy aligns closely with my own views on family budgeting. So, here is my take on why you need You Need a Budget! What is YNAB: I have personally been using YNAB to track my household budget for almost eight years and am a huge proponent of the application, particularly since the rollout of its most recent web-based version that makes it easy to update your budget from anywhere you have internet and a computer. YNAB is a little more hands-on than other offerings, like Mint, and comes with an annual fee, but in gaining control of your financial health, I think hands-on is exactly what we need and $84 a year will feel like nothing if it means you maintain a budget long term, instead of for 3 months. Maintaining my budget with YNAB takes me 10 minutes once or twice a week and I know where every dollar goes and how much money we have to spend. These rules allow you to tell your money what to do, be honest about your spending, and be flexible when something unexpected comes up. “Roll with the Punches” is one of the best budgeting rules to live by because none of us are fortune tellers. Did you expect to spend $100 on baby formula this month but your toddler accidentally knocked the container on the floor and you had to buy more, putting you at $120? No problem, move that $20 surplus you have in your Clothing budget over to Baby Food and move on! No guilt, no stress. 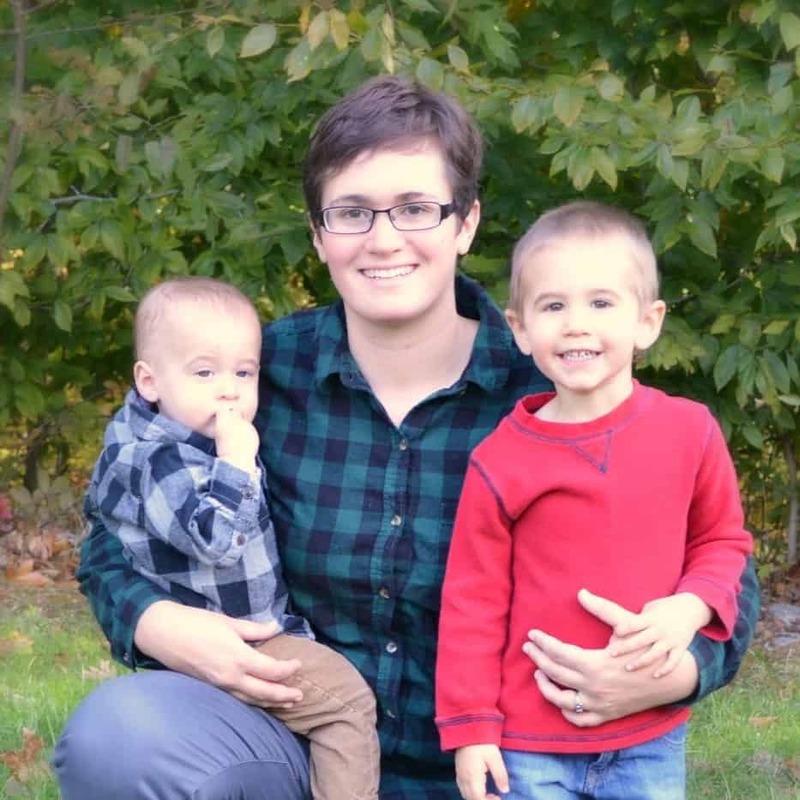 You Need a Budget is an excellent service for people who need to get out of debt, build an emergency fund, or want a more hands-on budgeting experience. If you already have great financial health, YNAB can help you save for quality of life goals. Easy to use, spreadsheet-like format that is intuitive and fast. Connects directly to bank and credit card accounts to make importing transactions fast. Highlighted callout of money to be budgeted, encouraging you to put every income dollar to work. Can set and track goals. In budget categories set goals to reach a certain balance or fund a certain amount each month. Incredibly helpful guides for budgeting, dealing with debt, and focusing on big goals. Very strong site security. YNAB cannot access customer data unless requested by the customer or required by law, and data is encrypted with the same technology used by the CIA. You can’t see investments in YNAB so you don’t have a whole financial health picture. Once you get focused on saving for retirement and investing for long-term goals, you will have to add a service like Personal Capital. Can’t import transactions and easily categorize them from the mobile app. YNAB has told users an improved mobile app is in the works. Whether or not you choose to try YNAB, to have a successful experience gaining control of your finances you need to have a budget you actively track and maintain. 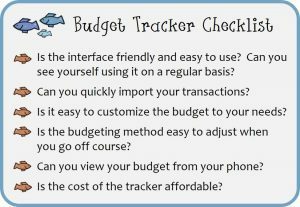 Below are some alternative budgeting tools, well-written reviews on each, and a short checklist to help you make sure a potential tool will meet your needs. Don’t be afraid to poke around on multiple sites, and if your first choice isn’t working, switch it up! A budget binder or paper tracking – Pinterest is filled with free PDF downloads for budget tracking and organizing your household finances. You can also use a financial bullet journal. Why I prefer YNAB: Paper budgets may be the best way for the financial newbies among us to learn where their money is going in the short term but years and years of history suggests you won’t maintain this system for long. It is time-consuming, you are likely to miss the small expenses, and one day you will need to print a new page to update for the week and you just never will. Technology has moved us past paper budgets. Mint – The largest and most popular budgeting tool on the web. It is free and highly automated. Why I prefer YNAB: Despite being the most well known, Mint is possibly one of my least favorite budgeting tools. I used it for a year before I found YNAB and it never stopped feeling like work. While Mint is highly automated, it isn’t always correctly automated so if you aren’t checking every expense things may get frustrating. Mint also doesn’t encourage you to budget every dollar so things can get lost in the cracks. Mvelopes – This is the electronic version of Dave Ramsey’s popular envelope budgeting system. There are multiple membership levels ranging from free to $95/year. Why I prefer YNAB: Mvelopes technology is not as user-friendly as YNAB and I personally find the envelope system too restrictive and hard to stick with long term. Personal Capital – An excellent source for tracking all your investments in one place, reviewing overall asset allocation, and planning for retirement. Their investment tracking service is free. Why I prefer YNAB: Personal Capital isn’t for budget tracking, and should be used in conjunction with a budgeting application. Personal Capital tracks cash flow (how much money do you have leftover each month) and auto-sorts transactions into categories, similar to Mint, but it doesn’t have a robust platform to maintain a budget. I use Personal Capital to track our investments and highly recommend it for people who are financially healthy and working towards better investment strategies. Quicken – The original personal finance application. If your parents maintained a budget, they probably used this or paper tracking. It has comprehensive features but is software based, not web-based. Software costs $39.95-$119.95. Why I prefer YNAB: To use Quicken you need to have desktop software, which means you can only update your budget from one place and its smartphone app has to be synced from your desktop application. 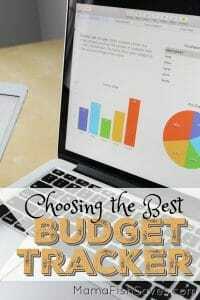 Have you tried You Need a Budget in the past? Let me know what you thought! Do you use another application that isn’t highlighted in this post? Let me know what you love or hate about it! Read the next step on the Roadmap to Financial Health here: Step 1.2 – Build that Budget. You have referred to the envelope system in passing a few times…and I’ve actually never heard of it. What is it? The envelope system for budgeting was made popular by Dave Ramsey and is good for people who tend to overspend with debit or credit cards because it is based on cash. For each budget category, you take out the amount of cash you have to spend on that category for the month and put it in an envelope. You only use that envelope for any and all spending in that category, and if cash starts to get light before the end of the month, you find a way to limit your cost. Raid the fridge for leftovers, carpool to work, but do not take cash from another envelope or pull out that credit card. The envelope system has created great success for a lot of Ramsey’s followers because it makes your budget tangible. If you only go to the grocery store with the $120 available from your budget, you are far more likely to look at prices and put back things you don’t need. I think it can be a great resource for over spenders those first few months, but be sure you have the whole family on board. If one of you keeps resorting to plastic, when the cash you have to spend has already been withdrawn, it could lead to arguments and continued overspending. And once you have a handle on where your money goes, I recommend switching to an online budgeting tool like YNAB. The envelopes are difficult, and feel rigid, which is good if you need to train yourself to live within your means but over time could make budgeting feel adversarial and lead you to quit. 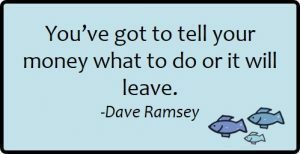 You can find more information on Ramsey’s system here. If you try to sign up for YNAB from your phone, they will extend your first free month, to two free months! Thanks for the mention Chelsea. If you need any other info from us on the various budgeting services don’t hesitate to contact us. No problem Larry, I love reading your reviews. Would be great to get in contact, maybe there is something we can collaborate on in the future!